There is no traditional key for the new Tesla model 3; Instead, the new electric sedan will use the owner's smartphone to open and launch via Bluetooth. 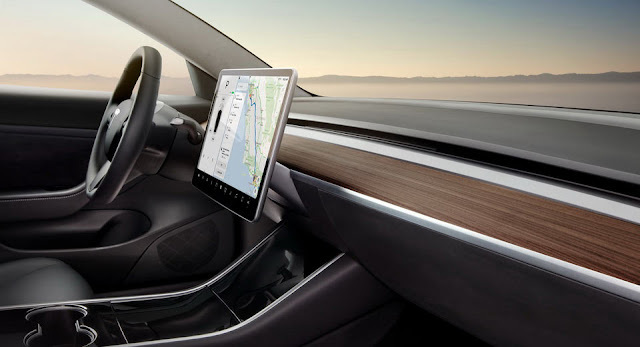 The Tesla model 3 recognizes the paired smartphone and unlocks automatically and makes itself ready to go. In the very probable event of the battery on your mobile that runs flat, you will no longer be stranded in your car as it will also be Tesla An NFC key card that is thin enough to be in a wallet to keep. Yes, it's the same key card that was discovered on a video tag before the official event event, but unlike previous iterations, the Key Card of Model 3 will have a pure backup role. With the map to unlock the model 3, it has to be pressed against the B-pillar and put it on a certain point between the seats to start it. Tesla is currently faced with a huge challenge, because the production of the model 3 must build up to 20,000 examples per month in December. 0 Response to "New Tesla model 3 uses a smartphone as a key"